This picture shows old slips that have been revegitated with ryegrass and clover. 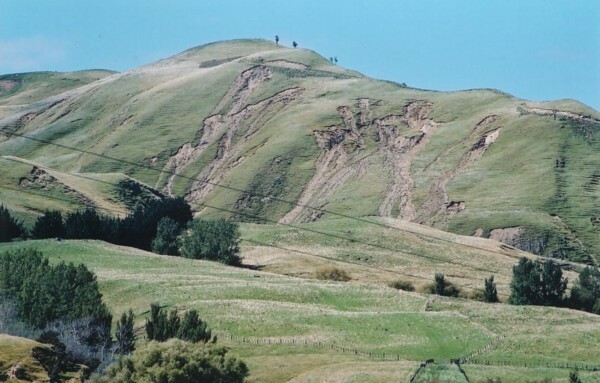 These pictures are an update of the latest damage done in Central Hawkes Bay by a water bomb. 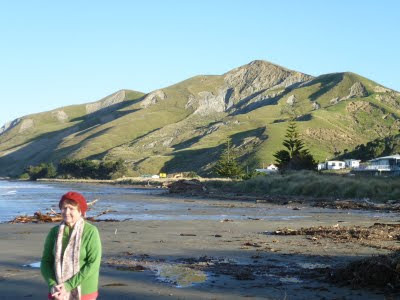 Some 600mm of rain fell in twenty four hours along the coast in May 2011. I intend to take more pics when I have the opportunity.The slips are not going to go away in a hurry. 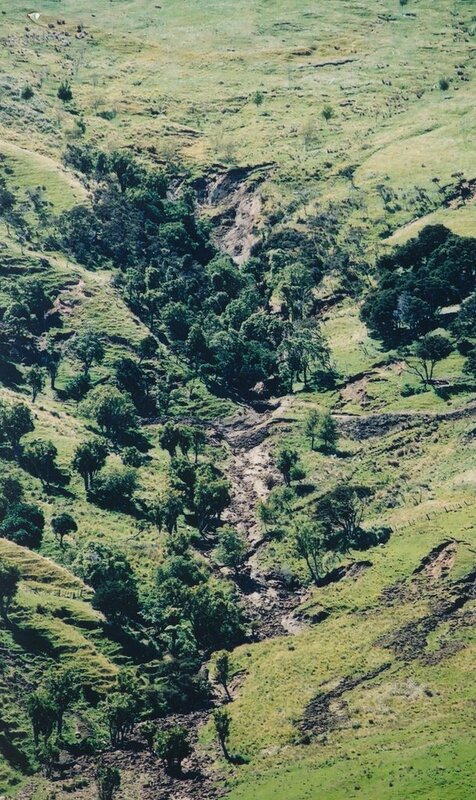 This is how the temperate forests that once covered New Zealand looked like.Click the panoramic picture to see the full extent of the deforestation in the Hawkes Bay area. We always associate deforestation with Third World countries and all the repercussions that go with it, but most developed countries deforestation occurred centuries ago and this is forgotten. Now with climate change and the extreme weather conditions with more frequent storms that go with it, the chickens are coming home to roost. New Zealand is a prime example. Once the whole of the two islands was covered with temperate forests, but with colonization by humans and the removal of these forests by slashing and burning, their replacement by clover and rye grass pasture gives the impression of a clean green land, and that everything is healthy.The picture above shows slips that have 'healed'. This whole area was once covered in thick temperate forest. The sheep have grazed the grass short and transformed the the hills into little terraces. The short grass means shallower root growth and less to hold the soil together. Even though all appeared right, erosion was carrying on all the time. Before deforestation the rivers ran clear and deep, and in some cases could be navigated by small craft, but now they are wide and braided. River metal has filled the rivers which now continually change course and have to be kept in place by means of stop banks. 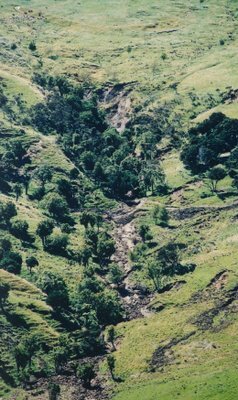 At each heavy rain they fill up rapidly bringing down soil and stone because the water is no longer held in the catchments to be released slowly afterwards. will stay a cycle of accelerated erosion as evidently took place in the initial sculpturing of our country's topography. There is evidence in districts where the ground consists of papa clay or mudstone that the grass sward cannot by itself hold the country together and prevent large-scale slipping and slumping to lower levels. On the other hand, there is ample world evidence to show that in most circumstances a sward of grass can preserve the earth's surface or can so slow up surface soil movement as to make the problem of soil erosion negligible. 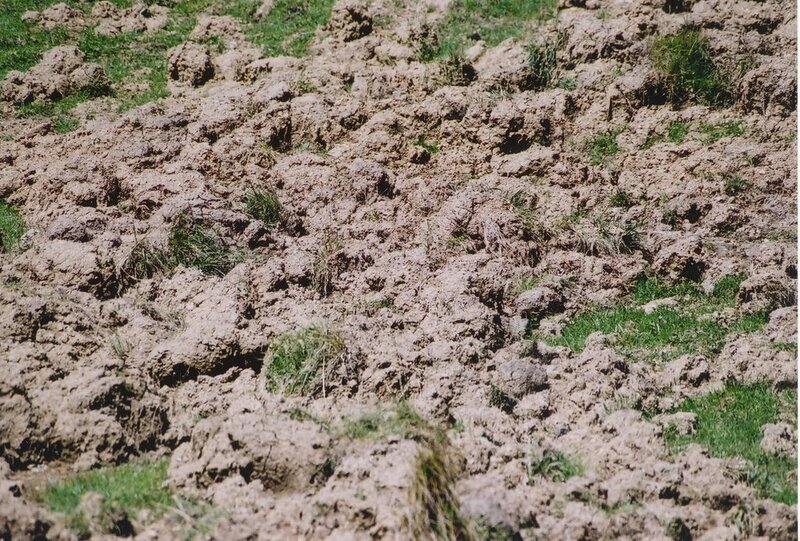 Our problem is to constitute and manage the turf so that it will serve the grazing animal and also maintain enough cover to stay soil movement. Where this is not possible, additional stabilizing factors, such as trees, concrete structures and earthworks must be provided. Much hill country is in a delicate state of slope equilibrium, and large-scale slumping occurs if this equilibrium is upset by removal of the stumps and roots, by the action of running water in cutting way of the toe of the slope, or by the degrading of the valley floor. 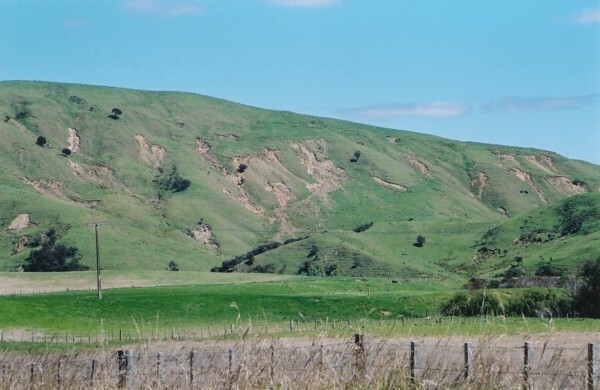 Neither tree cover nor grass cover on the hills can avail against slope movement once the toe of the slope is undermined or the valley bottom deepens. Stability must be brought to the toe of the slope by work in the gullies'. 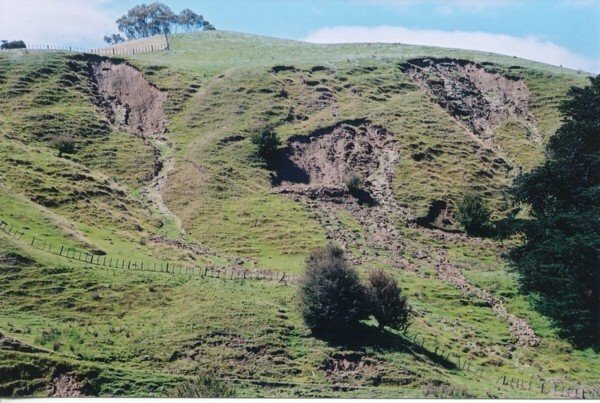 It can now be seen that this 'thin veneer of grass' cannot hold the country together under the increased precipitation that is likely to occur through climate change. 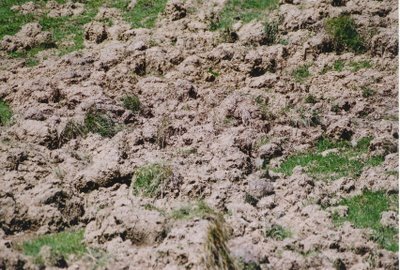 The world evidence to show that 'A sward of grass can preserve the earth's surface or can so slow up surface soil movement as to make the problem of soil erosion negligible, has perhaps not been fully understood. The grass sward holding the earth together is usually a grass cover that has evolved through millions of years and is the natural vegetation made up of many different species with deep soil forming roots and taller top growth. 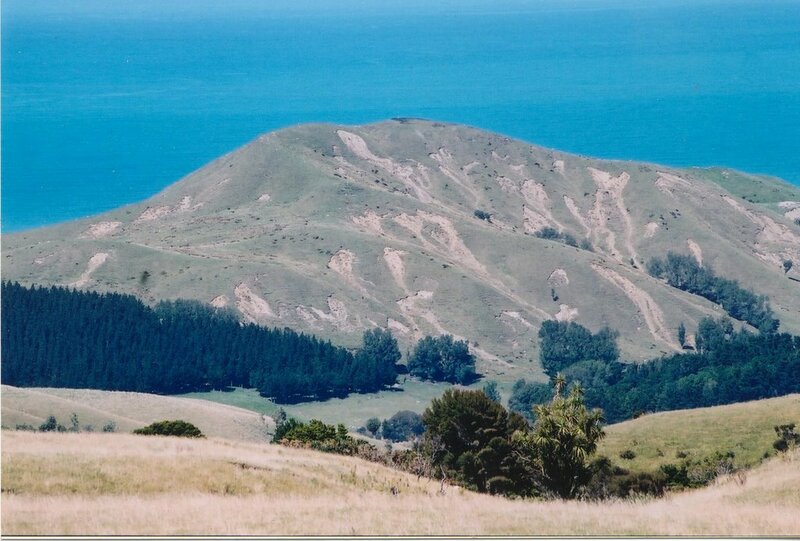 This ' Sward of grass' holding the earth together is not the rye grass short enough to serve as a golf course fairway, that is supposed to hold New Zealand's hill country together.There may be a very good reason why the slips have increased in recent years. 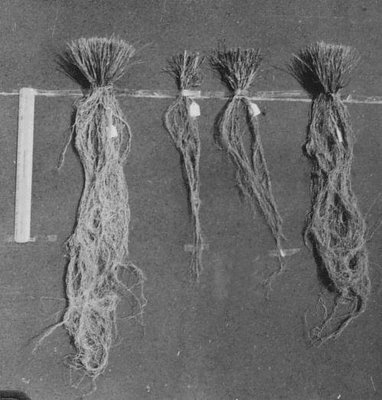 After deforestation the soil was underpinned by the roots of the forest trees which remained there for decades. It is known that the native trees are very resistant to rotting and are used for fence poles and last for decades.Once these disappeared the soil became very vulnerable to erosion. 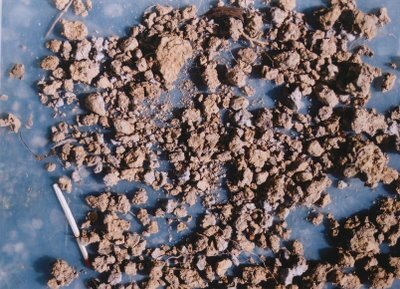 These pictures are of the visible form of soil erosion,the invisible erosion is from the soil surface, washing off every time there is a heavy rain. 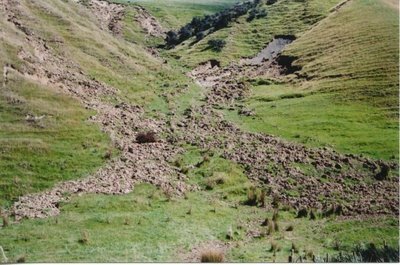 The present system of farming in New Zealand is not sustainable over the long term. 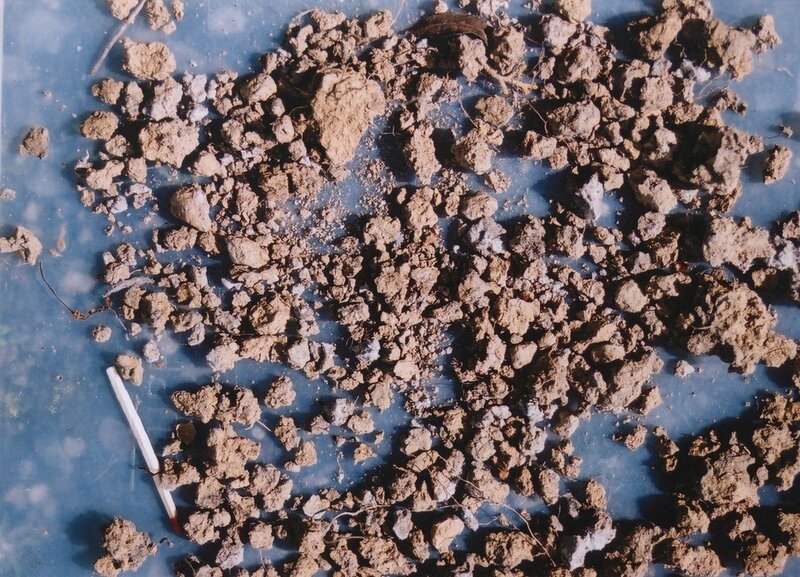 The bottom picture shows attemps to stabilize the soil on old slips. This whole area has slipped and revegitated but is still in danger of slipping again. Poplar poles are planted into the area and these will root and bind the soil. Your photos are stunning. 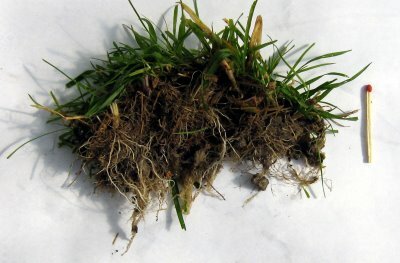 Leaving more sward height would certainly help promote more root mass and reduce the problem. This means either less sheep or more intense management (fencing, rotational grazing). You mention trees. 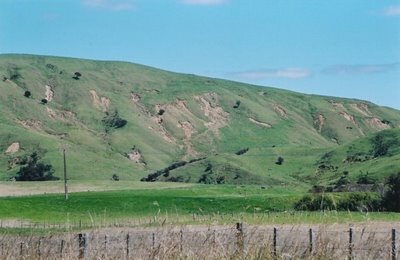 I have a pet theory that planting trees on the tops of hillocks and ridges helps alleviate overall erosion. Notice how in your pictures the upper boundary of the erosional feature is often just below the brow of the hill? 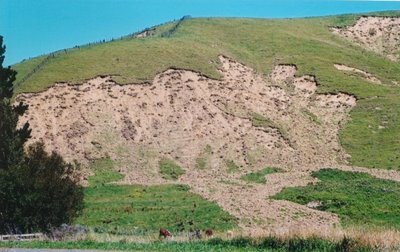 I believe planting above this point would be very effective in reducing the severity of the type of erosion shown in your photos. Placing woodlots in these less sloping locations also makes them more accessible for management, making them more viable. Interesting how the erosion looks different from place to place. In my home area, the coastal hills and mountains of northern California, there are many rotational slumps visible on grassed slopes. In central Washington state, torrential thunderstorms on steep grass slopes often initiate a 1-2 meter deep trench-like feature that can deliver vast volumes of stony soil material to the base of the slope. This may sound a little random, but I'm working on a study on infrastructure development in Papua and West Papua in Indonesia and I'd love to use some of your photos in a presentation we're making this week to illustrate the need for further study of soil types in the spatial planning process. I think New Zealand is, potentially, a very good comparison. I couldn't offer any money for use of your photos in the presentation, but if we intend to include this example in our final report we may be able to work something out. If you're interested, please contact me at johnholdaway (at) gmail (dot) com and I can give you some more details. This is really going to help me with my work..